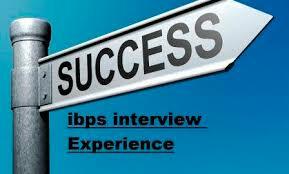 Dear Readers, we are sharing interview experience of our reader (Name not disclosed as per his request) of IBPS PO VI. He share questions asked in Interview. 1- Introduce yourself with special reference to your strengths. 2- One question related with my hobbies. 6- Banking kahan se padhi hai aapne? 7- what is Pradhan mantri koshal vikas yojna- ? 8- initiatives related to financial inclusion? 9- Question related with cashless transaction? 11- except having accounts in bank how can anyone be customer of banks? Atlast head of panel said- ok,your interview is over.